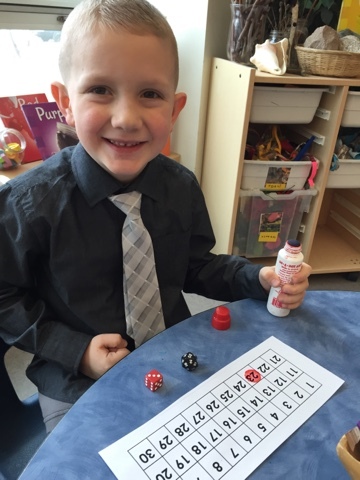 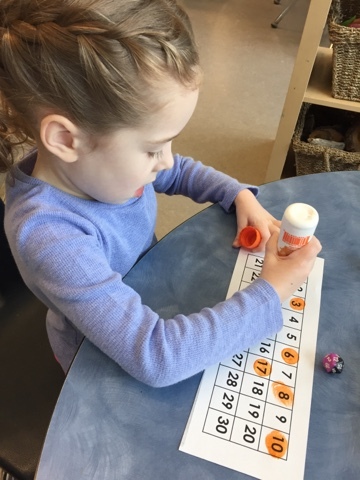 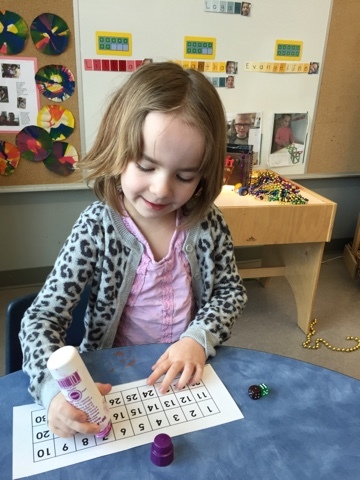 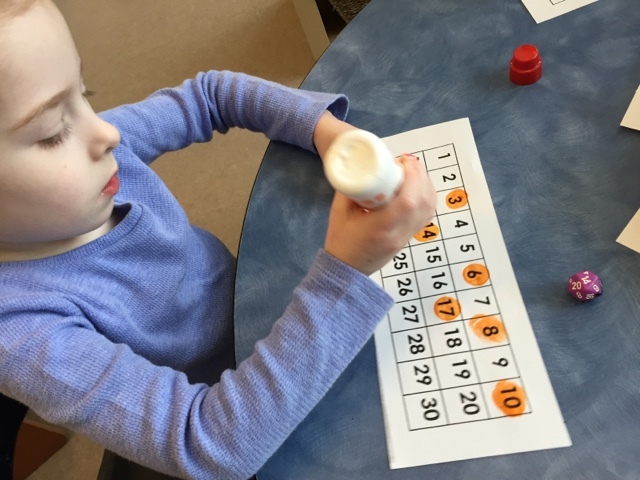 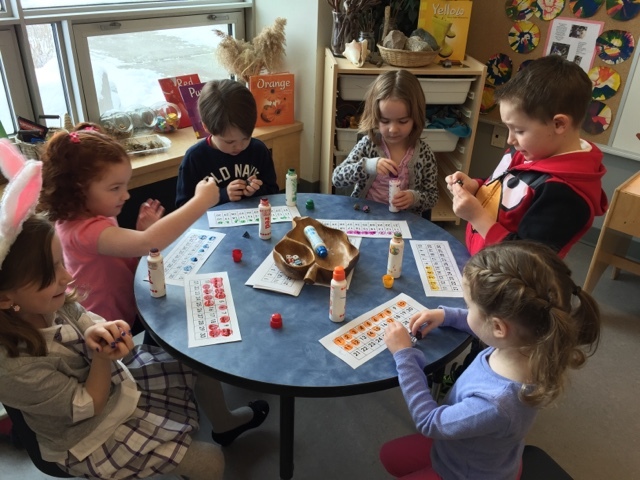 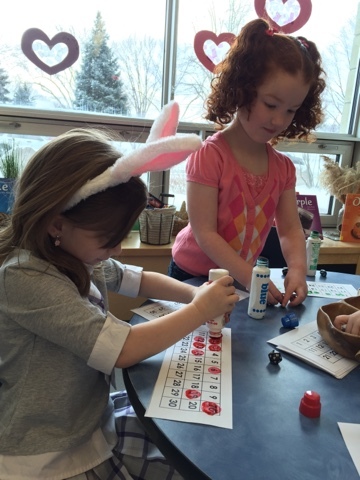 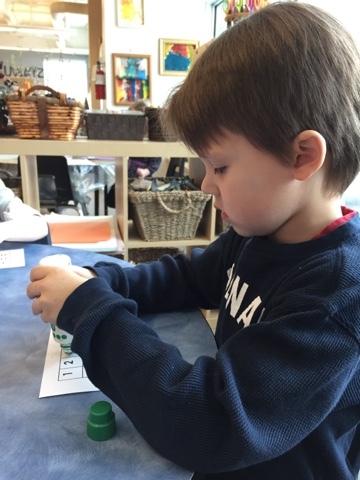 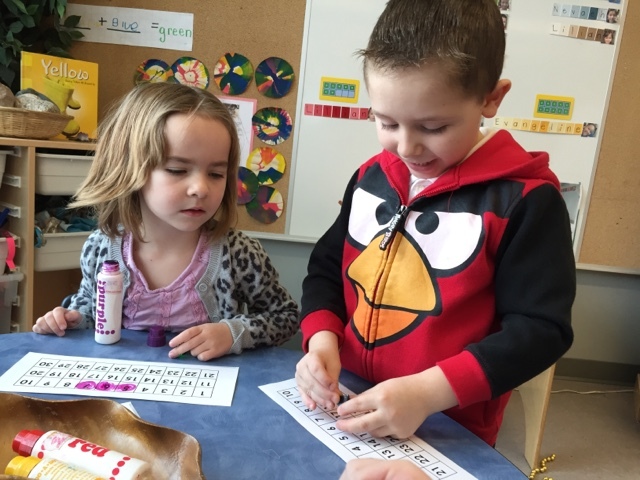 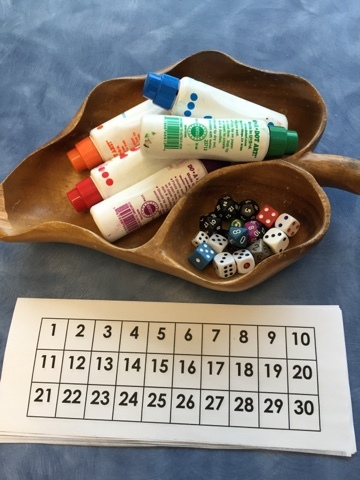 Today's math activity encouraged children to subitize, add, and identify numbers. 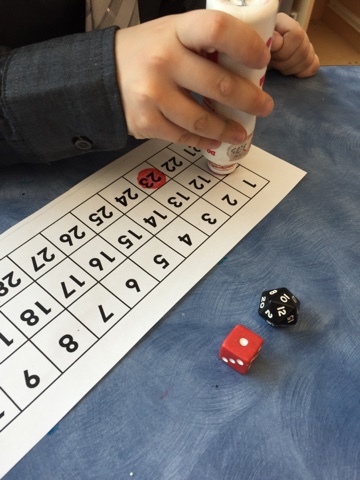 They used one or more dice to first roll and add. 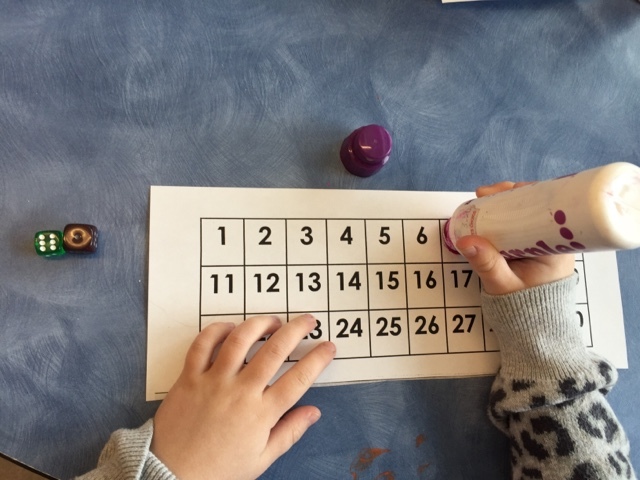 They then identified the sum on their 30 grid and stamped it to record it. 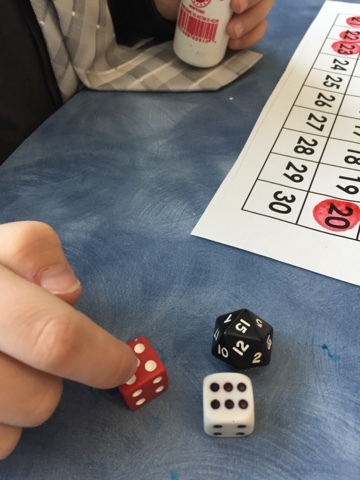 Some children used multiple dice. 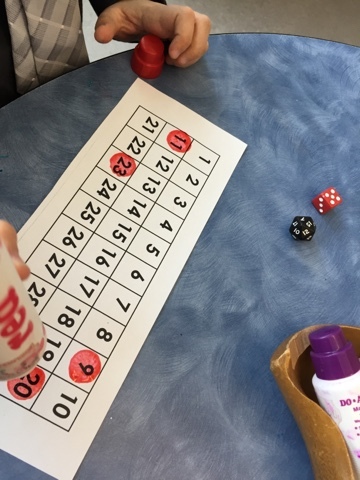 These differed and provided the additional challenge of adding many numbers together to help build number sense!